Procurement and purchasing are professional roles that are always in demand. Going down this route by completing professional development courses is thus a great way to get yourself a stable and secure job. 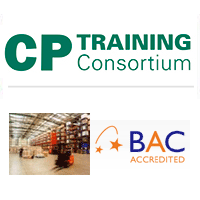 Manchester has a real wealth of purchasing and procurement related training courses on offer. A commitment to ongoing professional development is something that is very attractive to potential employers who are interviewing you for a job. So wherever you are in your career, whether you have long held a purchasing post and want to move to a more senior level, or whether you are just starting out in the procurement aspect of the retail sector, professional development training courses will help you to really get ahead in your career. Get a purchasing related qualification in Manchester, or just take a short training course to gain some practical new skills. With its world class theatres and galleries and its vibrant city centre filled with enticing bars and restaurants, Manchester is a fantastic place to study. Whether you already live in Manchester and are seeking out training and professional development course in your local area, or whether you are moving up here specifically to study purchasing, you are sure to have a well rounded experience. Manchester has plenty of different options, too, when it comes to choosing training courses in the fields of purchasing and procurement that suit your needs and lifestyle. Take a series of evening professional development courses alongside full time work, for instance, or fit in some training one weekend if that would suit you better! Whether you want something more academic or more practical, or a mix of the two, the purchasing and procurement training options at Manchester will leave you spoilt for choice. Get your professional development record as good as it can be with Manchester procurement training courses. Procurement is one of the most interesting and varied roles in the retail world. Procurement and purchasing are also, because they are so vital to the success of any business, types of role that are always in demand. Taking purchasing courses in Manchester brings you the opportunity to study in a fantastic city. 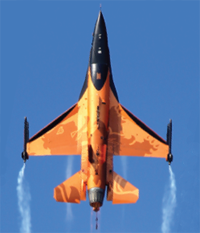 These procurement related courses will help your career to soar to new heights. Most of the training programmes delivered in Manchester and the Greater Manchester area are run by accredited training providers who can help you achieve a procurement qualification that suits your role. From the CIPS Level 2 award up to the CIPS Level 6 Professional Diploma, there are many study tracks to help you gain your desired qualification in purchasing, procurement and supply chain operations. See what's on offer in Manchester by browsing the course list above.